One of the worst parts about chronic illness is all the medications we have to take every day. Right? I’m always trying to find a way to lessen the amount, and yet the amount increases. 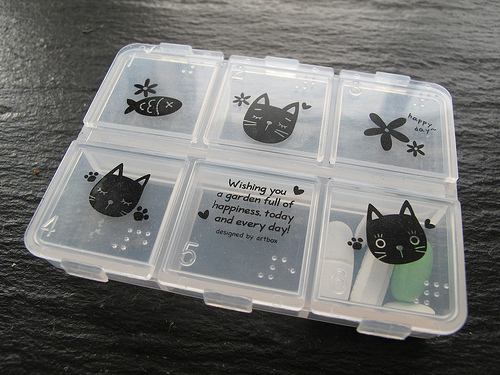 My husband does a great job of keeping my medications straight every week in my AM/PM daily medication box. I bet you probably have one, too. They’re handy, aren’t they? When we’re running out the door for a doctor appointment or out-of-town occasion, I slip the medication box into my purse, knowing I’ll need to take pills with my next meal. A few weeks ago was just such an occasion. This is your official invite to Rest Ministries... join me there to finish this post, won't you? I cannot imagine how hard having a chronic illness must be! But I am glad you are fighting through with the Lord.